Leonie Pihama is a forthright Waitara woman. A feisty, articulate scholar who’s happy to take on the establishment — and the likes of Bob Jones, too — and fight against any blinkered assumptions that there’s not much to gain in seeking guidance from the ways of indigenous tūpuna. Here’s Leonie telling Dale about some of her background and views. Kia ora, Leonie. Through your career, I’ve watched you deal with a number of challenging issues, especially on behalf of Māori. But, if you had the power, what would be your top priority? What is the one thing you’d do to help make this a better country? That’s a big question. There’s so many things I would like to see happen. But, right now, I’d have the Pekapeka Block and the other leased lands in Waitara returned to the two hapū, Otaraua and Manukorihi. That’s where I’m from, Waitara. That’s my tūrangawaewae. I’ve spent a lifetime watching that struggle. It’s one of those deeply-embedded, painful situations — and goes right back to the original land wars, to the very first colonial attack and invasion of our people. And, if we can’t heal that, then I think we have major issues around what we can really heal in the long term. So, if I could do anything today, it would be to have the Waitara lands returned to the hapū. For me, it’s about self-determination, and seeing hapū rangatiratanga that was guaranteed in Te Tiriti o Waitangi become embedded in this country. The current Treaty settlement process is missing something significant because it’s been dominated by the Crown’s definition of whose voices get to be heard. That’s not to say that iwi aren’t doing a good job. But, as hapū and whānau, we are marginalised, and we will remain so until hapū are brought into the definition of who gets to experience rangatiratanga. So the question is: How do we provide for hapū to have some say in how they may live their lives? Hapū is at the heart of Whānau Ora. Whānau Ora needs to flourish in a hapū context because that’s how we lived as a people. 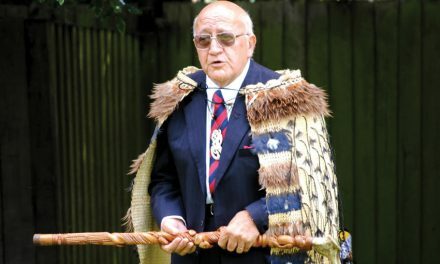 And the framework that denies hapū a voice, which the Crown has imposed through the Treaty settlement process, is really another breach, a contemporary breach, of Te Tiriti o Waitangi. 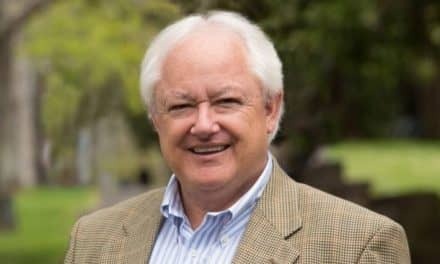 It’s always been my view that, if we can’t settle that very first block in Taranaki, that first act of violent dispossession of land in this country — if we can’t resolve that in a way that is just, then it’s very difficult to see how we can resolve any of the other issues in a meaningful way for future generations. Over the past few years, the hapū have been working with incredible generosity to try to resolve this issue. Their position has always been: i riro whenua atu, me hoki whenua mai — the land was taken, and the land must be returned. That has been a powerful guiding kaupapa. The denial of hapū is what has continually denied the resolution of this issue. Waitara has always been the lands of Otaraua and Manukorihi — and, as hapū, their desire to have the whenua returned needs to be realised. The Waitara Lands Bill is not a reasonable or just way to resolving this. The bill in its current form will create a situation where the people of those lands will be marginalised yet again. 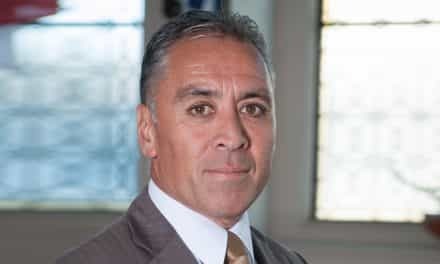 After the select committee hearings last year, it felt like the Labour Party and its coalition partners heard the pain of the hapū and iwi of Te Ātiawa, but to date, there has been no shift in regards to the bill. It’s sad. Sad to watch another generation of our people living on that whenua ­with no justice served. That is a direct outcome of the Treaty settlement process. What was on offer was that the iwi would have to buy back the land. But it’s not acceptable that either the hapū or the iwi would be forced to have to buy back that land. The New Plymouth City Council and the Taranaki Regional Council have had enough economic gain from Waitara. They’ve been receiving income from stolen lands for generations and it’s time to return that land. At no cost. Anything less than that is another act of colonial trauma for the hapū and iwi of Waitara. I’m assuming you have Pākehā whakapapa lines too, as I do and as most Māori do. Has that ever been a source of embarrassment or shame for you? My mother is Colleen Pihama (nee Todd) and her family have Irish lineage, so that’s been a part of my life. And I have a Pākehā daughter, Lillian. We never really knew my mother’s family as they were from Te Waipounamu, and travelling with such a big whānau wasn’t really something that they could do. But my mother is very caring and respectful of things Māori and she was a part of raising nine Māori children, and I expect her family are very like her — respectful and caring people. For me, it’s not about them being Pākehā, and there’s no sense of shame within my own Pākehā family history. I don’t feel any guilt or even any blame in terms of my own family and how they live their lives and the reasons they came here. Instead, for me, it’s always been about how the Pākehā systems continue to reproduce that level of injustice and oppression that we’ve seen in Waitara and in Taranaki from the very beginning. It’s never been about individual Pākehā people — although I must say that, currently, I have a number of issues with individual Pākehā and their racism, which also aligns to the systemic racism in New Zealand. But we have an ability in this country, in my view, to live well with a whole range of people — Pākehā, our Pacific relations, and all the different immigrant groups and refugees that have come here. I don’t believe our tūpuna had an issue about sharing whenua. The issue is about control and power and who gets to determine the way we may operate as a country. We’ve always had embedded within te ao Māori a practice of manaakitanga. That shows in how we regard manuhiri. The tangata whenua-manuhiri relationships — whether they be Pākehā or Pacific relations or any other guest that comes — have always been grounded in our tūpuna believing that we would be good hosts. But also they expected that manuhiri would be good guests. We’ve had people coming here and being welcomed here. And our people have been very generous in sharing, even with those who haven’t been good guests. Thank you, Leonie. Now can you tell us a bit about your whānau — and your schooling? Well, my father James (Jimmy) was a really interesting man. He was a whāngai and was raised with my grandmother and my grandfather, Alice Butler (who is Te Ātiawa) and Ramihana Pihama (who is Ngāti Māhanga from Waikato Tainui). 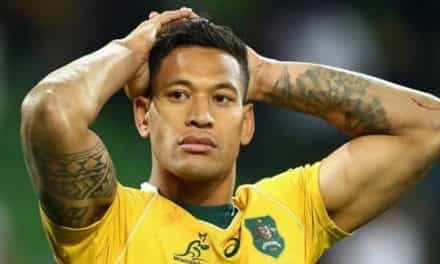 His birth parents were Hera Butler and Te Tauru o Te Rangi Charles Manukonga. My father moved between Taranaki and Waikato as a child and he experienced the full brunt of being beaten for speaking Māori. He was quite a pained man, in terms of things Māori. So, when we were growing up, he tried to make sure that we didn’t experience that. So we’ve all got Pākehā names. 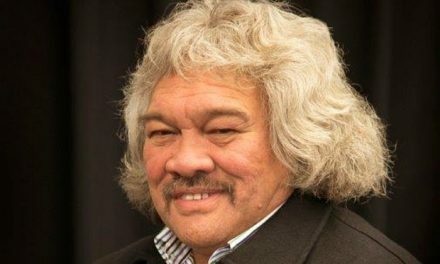 He’d stopped speaking Māori at around 10 years old, after being punished at school. And we weren’t raised with any te reo Māori at all, but we did have a lot of tikanga in our lives. He would look after the urupā, and do those things. And we’d do stuff on the land a lot. He’d fish, whitebait, and we knew how to do those fundamental things on the whenua. He was a freezing worker for 40 years in Waitara — and he had a lot of strong friendships there. But he also experienced racism in his work, so he never moved up into any management role. There were 10 of us children, but an older brother passed as a baby. And, although we grew up in the freezing works community, we were never allowed to get a job in the works. In Dad’s view, if you started working there, doing even just a summer or seasonal job, you’d never leave. When we were teenagers or young adults, that kinda pissed us off because it was considered good money. But he wouldn’t allow any of us to work there. That was his way of being clear that this wasn’t the pathway for us. And both of my parents really pushed schooling and education as the best step towards a better life. As a result of my father’s staunch belief that we’d have a better life, we had particular trajectories in education. But they were very gendered. So my brothers all did trade training, to be welders, carpenters, and electricians — and all of the girls were put in a kind of office-teaching-nursing trajectory. Trade training was a big deal in those days but, since then, there’ve been lost opportunities, because Māori trade training was cut in the 1980s. So we’ve lost a whole generation of Māori tradesmen. I didn’t quite fit the trajectory. I’m not quite sure why, except that I felt uncomfortable with being one of the very few Māori — maybe only one or two — in the academic stream. So I left Waitara High School, in the sixth form, with University Entrance. And I spent five years on the dole in Palmerston North, just playing basketball. I played for New Plymouth under-21s and in Palmerston North senior club competitions. Also representative softball for Taranaki. Sports was, and still is, a big deal in Waitara. And we’ve had more than our share of incredible sports people emerge from such a small town. Somewhere along the line, you became politicised? How did that come about? Well, there were a number of things in my life that made me think: This is not right. 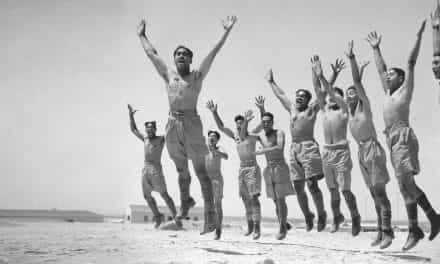 One of them was that my father was denied a promotion because he’d gone to a tangi. I remember thinking, there’s something wrong with that. And there were little snippets that had me wondering. Like going into shops in Waitara and there never being any Māori people employed, even though there was a very high Māori population. Like seeing that the kids most likely to be strapped at school were my friends. Particularly Māori boys. All the way through my early life, there were those kinds of things that didn’t add up. That’s in terms of things Māori. But also, from 11 on, I was struggling with my own sexuality and my relationships. I was trying to work out what I wanted to do and knowing that I needed to move. You see, even though I was told I had all these options, I ended up leaving high school and working in a supermarket. So I had a lot of stuff going on when I left Waitara and went to Palmerston North. I had two sisters there at teachers’ college, Vicky and Lorraine, and I went to stay with them. Interestingly, I’d applied for teachers’ college as well, but I wasn’t accepted — I don’t think the answers I gave were what they were looking for! But my sisters had people like John Tapiata as kaiako, and I’d sit at the back of the room while he was teaching. So I was hearing this Māori man saying all of these quite radical Māori things and speaking Māori. Then, fortunately, Lorraine made me enrol at Massey in Education and I was pretty much hooked from that point on. All of this was kind of layered and embedded in me — and then one day, I realised that I needed a different life. So I got on the bus as a 22-year-old and moved to Auckland, even though I didn’t know anyone there apart from a young teacher who I’d had at high school, and who I could board with until I found a flat. Within a few weeks, I met Sharon Hawke, which took me right smack into the middle of Ngāti Whātua Orākei and the Hawke whānau. It didn’t take long before I realised that their experiences were much the same as the experiences of my people in Taranaki. That was 1985. There was a lot going on around that time, wasn’t there? Some heavy duty kaupapa. That’s true. The hikoi to Waitangi were prominent in the 1980s. The aftershock from the 1981 Springbok tour. Homosexual law reform. And so on. And, as well as walking into the Hawke whānau, I enrolled at Auckland University where I met Linda and Graham Smith. So I was really fortunate to have contact with people who helped me understand my world. Often, as a young person, you’d be thinking: “That sounds really racist and I don’t quite know why”, and it’s because you don’t have the language for it — and the way in which this country presents itself can make you doubt yourself. But they helped me to understand that these feelings were grounded in something real, and they weren’t my imagination. So 1985 was a year of big change for me. Everything just fell into place. Then in the early 1990s, I was fortunate to be a part of the Māori education team, which included Linda and Graham, who’ve always been advocating that we should look at what’s happening with other indigenous nations. And that we need to learn from that. We need to share, but we also need to learn. Linda has been a tuakana and friend through all my academic career. She supervised both of my post-graduate degrees, my MA and my PhD. She’s a “big picture” thinker and very global in her outlook, too. She and others I’ve trained with have encouraged the practice of thinking globally but acting locally and nationally. That means seeing that we have ongoing networks with indigenous people. It’s something that I’ve chosen to put a lot of time towards, particularly in the last 10 years with the next group of Māori academics. Making sure that they travel. That we have manuhiri coming here from indigenous nations. And that, when they do come here, we ensure that they meet with whānau, hapū, iwi, and community organisations. I’m really influenced by how movements happen internationally, and inspired by movements such as Idle No More, Black Lives Matter, and Mauna Kea. I’ve been active in advocating for the rights of all indigenous nations and for other movements that challenge homophobia, transphobia, misogyny — all of those colonial oppressive belief systems that have been imported here. I am a Māori woman, I am takatāpui, I am a mother and a grandmother, I am an abolitionist. I believe that we need to actively decolonise and to find ways of connecting across movements for the wellbeing of all of our people. So that comes with connecting across Aotearoa and connecting across indigenous nations with international activists and radical thinkers. And, in the course of bringing indigenous manuhiri here, we’ve found that they’re very generous in their giving and sharing, and we’re equally generous in our hosting. Our mana internationally is often determined by how people are hosted, by our manaakitanga. And, now that we’re in the Trump era, there’s another element when we bring Native American scholars over here. It’s a sharing, but it’s also giving them a bit of time out, and uplifting them. I think, as Māori, we have a role in that space. One of the coloniser’s tools is to discredit the practices of the indigenous colonised people. But we need to value our own ways, don’t we? Our own indigenous knowledge. You’re a champion of this, and much of your work in the last decade or so has been focused on the richness of what we hold dear. How important is it that we value our own ways, rather than looking to get the seal of approval or the tick from te ao Pākehā? For a very long time, our tūpuna have given us everything we need to live a good life, in terms of our tikanga and in terms of te reo. I deeply believe that. And when I talk about kaupapa Māori and all the ways we utilise kaupapa for thinking and practising, I do it because I believe in those principles, and I believe that those taonga tuku iho are there, ready for us to use and guide us in our everyday lives. Often I find myself in situations where I’m speaking out against something, whether it be racism, homophobia, transphobia, prisons, systemic racism, or whatever it is. For me, it’s only one part of what I do, but I do that because I believe in what we have. Some people call me inflexible and they’ll often say that I only do kaupapa Māori things because I’m inflexible. And they tell me I should look at this theory and that theory. I don’t actually think I am inflexible. It’s just that I’m one of those people who believes that within that kaupapa framework are the answers that we need. We can see that in kōhanga and kura. And in Whānau Ora, even though Whānau Ora has been severely under-resourced. What we do see is the positive impact when whānau can be self-determining and be supported to make good choices. We know there are some things that we don’t want to bring forward, and that’s fine. There was some behaviour that our tūpuna stopped themselves, very early on. But what were the things in tikanga, that gave us an ability to live well collectively and that informed us as individuals? And we start there. Then we look at the impact of the trauma and what that trauma disrupted. Even when we’re looking at analysing quite traumatic events, we don’t start with that event. We start with identifying the strength and power that we had before that. And with the tikanga that guided us before that. And then we look at how we might enact that tikanga as a healing process. It’s about having a deep faith that our tūpuna have given us a lot of guidance — and finding how we can now live that in a contemporary way. Even with the most recent issues with Bob Jones, my approach has been from this basis: No. We are not that. That is not who we are, and you don’t get to define who we are. And you certainly don’t then get to be oppressive towards us based on your elitist, entitled, white-privileged view of us. So, even in response to that, we know who we are. It’s always coming back to that mātauranga that we have: Māori mātauranga, our hapū, our iwi, and bringing that to the fore. That’s the driving factor for me. And it’s what I want for my tamariki and mokopuna. One of the things that hit me was when Karina Walters was here for the first time in 2009. She told us we need to think about how we can be good ancestors. Because we are both grandchildren and grandparents simultaneously. We need to walk in this world as good ancestors and to model that for the next generation of ancestors. So my thing is how to be a good ancestor. I am blessed to have six stunningly clever and caring tamariki and four mokopuna, with number five on the way. We have a diverse and blended whānau. My eldest twin sons, Kumeroa and Teahooterangi, I birthed. Lillian was the birth child of my first long-term partner and she is Pākehā. The youngest tamariki are from my second long-term relationship. We had Moana come to us as whāngai as we knew her grandmother well, and the two youngest twins, Te Ahuru and Matariki, were birthed by my ex-partner. When I came out as takatāpui, I remember my parents being most worried that I may not have tamariki, so that mythology has been well and truly dismissed. I have more tamariki than most of my straight friends and whānau. And now mokopuna too. So much of what I do in my life at the moment is about contributing to the world that they are going to live in. I catch myself with my own children now when I’m on the verge of saying “my dream for you is to have a better life than me”, because, actually, my dream for them is to have a good life, and to be able to live fully as who they are, whatever that might look like. So I’m constantly asking myself: How do I support my children, and their partners, and grandchildren to aspire to be good ancestors in the future. What do they need in order to be that? I think being a good ancestor in Aotearoa as Māori, is being a good host as tangata whenua. A close friend, Rihi Te Nana once said that Pākehā need to know how to be good guests, and only then they can they be good allies. So a key part of being a good ancestor for Pākehā is being a good manuhiri. As Māori, we know how to live with other people. It’s just that, at the moment, some of our manuhiri don’t know how to live with us. I hope that the government and the councils in Waitara come to understand that being a good guest and good Treaty partners requires them to return the land. That would enable our whānau, hapū, and iwi to have the foundation upon which to then more easily reinvigorate our role as tangata whenua in Waitara, and to show what great hosts we are. I have no doubt that the hapū will be much more caring and generous hosts than the councils have ever been in that town. Let’s talk now about moko kauae. What prompted you to have that work done? And what have been the ups and downs of that decision? I was in Taranaki for a number of years in the late ‘90s, and Mahinekura Reinfelds and others had been doing work around the reclamation of moko kauae. Mahinekura had her moko kauae done by Rangi Kipa and it was a beautiful piece. 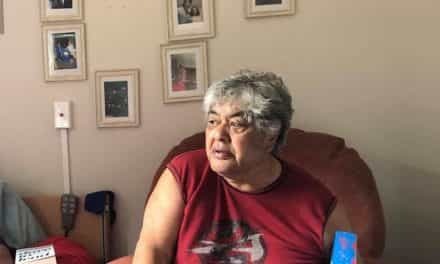 She was, for me, a person advocating that we as Māori women have both a right and an obligation, to take moko kauae. She was someone who was willing to step up early on. So, when she rang me in 2001 and told me it was time to have a kauae done, I felt I really didn’t have a say. 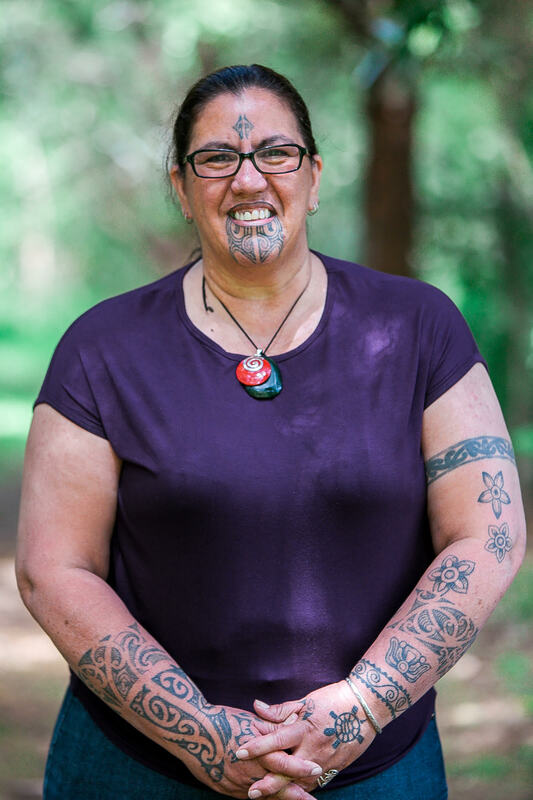 Christine Harvey was the tā moko artist who did my work. I was the second woman she’d done in Taranaki. And that was quite a big deal, having a Taranaki woman carve moko kauae on a Taranaki woman. We didn’t have a living memory of that. So the reclamation was multi-levelled. At the request of Mahinekura, Christine added the hotiki on my forehead. Mahinekura felt that, because of the work I do, and that I had a role in being visionary in my thinking, that I should carry the hotiki as well. So I did. Even though people may not believe this, there are times when people will tell me what to do, and I will do it. I consider moko kauae to be a right as a Māori woman. It’s something our tūpuna took at a very young age. All the stories I heard were that most of our tūpuna wāhine had their kauae done between 13 and early 20s, so it wasn’t related to some of the mythologies we hear now about being wise or old or earning it — because, well, they were very young. I saw this being a rite of passage that had been denied Māori women for many years. You’ve worked in a lot of different fields. 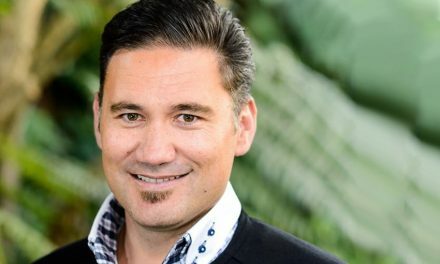 You’ve been on boards, been studying, championing Māori research kaupapa — and sometimes criticising the dominant culture in Aotearoa. Occasionally you appear to be a lone voice, although I know you’re not alone. But you’re prepared to take a public stand where others would prefer to let the issue lie. That idea of taking a stand is interesting because I come from a whānau that’s actually very quiet. My whānau are hard workers and tend not to be outspoken. When I think back, Graham Smith and I were teaching a class called Kaupapa Kura very early on in my career at the University of Auckland. 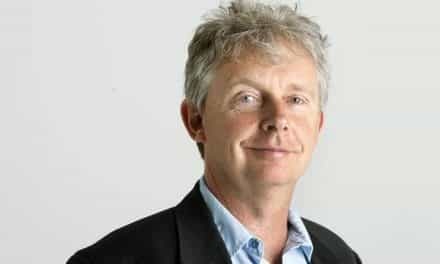 It was at a time when Graham was pushing for Māori educators who had bachelor’s degrees to come back and do a masters. So there was a range of cutting-edge educators (including Kaa and Tāwhirimātea Williams, Hone Kaa, Hera Johns, Taina and Hariata Pohatu and others who were way more knowledgeable in their thinking and practice of Māori education than I was. Then Graham had to take leave from the class and left me in charge of this Masters class that included these incredible Māori educators. I remember looking around that room thinking: “Oh my God. I don’t know if I can do this.” I’m sure they could see my uncertainty. But they said: “Well, we’re here to do this degree, which you’re going to help us with. So just get on with it.” So I did. I remember thinking that, if I could get through doing this kind of work with these incredible people, I could work with anybody. It really was a moment in time where I realised I had something to give, even though I still had a lot to learn. As I said earlier, I was one of many Māori women that Joe and Rene Hawke supported as Sharon’s friends and I learned so much from seeing their strength and unwavering commitment for justice for Ngāti Whaatua ki Orakei. That was a privilege to be around during my time living in Tāmaki, and I’ve always considered living and being on Ngāti Whaatua land as a privilege – and I’m thankful for my time there. But, in terms of having the confidence to stand up and speak. I remember being at a hui with my father, who would sit quietly, not saying much. He would watch. I remember standing up to critique something in the claim. And the whole time, I watched my father. And he didn’t move. And it really hit me. I thought: There’s only one person in this world who can sit me down, and he’s not. That was a turning point for me. Really, the only person who I would allow to sit me down is my father. And he never did. So I just stand up now.